Fuel your body and mind with Myamino Energy — coming in a range of refreshing fruity flavours, it’s packed with amino acids, vitamin C, and natural caffeine to give a super-energising boost1 anytime you need it. The natural caffeine in THE Amino Energy keeps you focused and alert,1 just what you need to smash those sets and break through barriers. Caffeine: from natural sources like green tea and green coffee help you to increase your performance1 — super-important whatever your goals. 1. Caffeine helps to improve concentration and increase alertness. Caffeine contributes to an increase in endurance performance. 3. 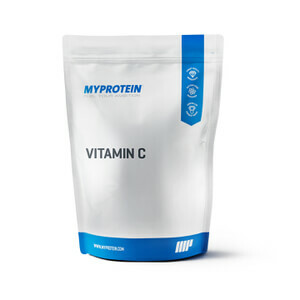 Vitamin C helps to maintain the normal function of the immune system during and after physical exercise, and contributes to the reduction of tiredness and fatigue. Add 1 scoop (10g) to 250-350ml of water or juice in a shaker before, during, or after exercise — or enjoy as a pick-me-up1 throughout the day. What does THE Amino Energy work well with? While our amino blend gives you essential amino acids in a convenient way, to make sure you're also getting the protein ​to power you to your goals,2 add THE Whey™ — our premium whey blend. IMPORTANT INFORMATION: Do not exceed the stated recommended daily dose. This product is a food supplement and therefore should not be used as a substitute for a varied diet and a healthy lifestyle. Store in a cool dry place, out of the reach of young children. Must not be consumed by pregnant, lactating women, children or adolescents, or for prolonged periods without medical supervision. Do not take on an empty stomach. Micronized Amino Acid Blend (L-Leucine, L-Isoleucine, L-Valine, L-Lysine, L-Threonine, L-Histidine, L-Methionine, L-Citrulline, L-Tyrosine, Taurine, L-Arginine, L-Theanine, L-Glutamine, Emulsifier (Sunflower Lecithin)), Flavouring, Acid (Citric Acid), Sweetener (Sucralose), Anti-caking agents (Silicon Dioxide, Calcium Silicate), Green coffee bean extract (Coffea L.), Spirulina Extract, Trehalose dihydrate (trehalose is a glucose source), Green Tea Extract (Camellia sinensis L.), Vitamin C (Ascorbic Acid). 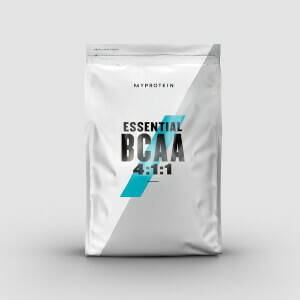 Micronized Amino Acid Blend (L-Leucine, L-Isoleucine, L-Valine, L-Lysine, L-Threonine, L-Histidine, L-Methionine, L-Citrulline, L-Tyrosine, Taurine, L-Arginine, L-Theanine, L-Glutamine, Emulsifier: Sunflower Lecithin)), Flavouring, Acid (Citric acid), Beetroot Concentrate, Anti-caking agents (Silicon dioxide, Calcium silicate), Sweetener (Sucralose), Green coffee bean extract (Coffea L.), Green Tea Extract (Camellia sinensis L.), Vitamin C (Ascorbic Acid). 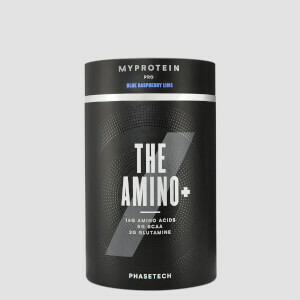 Micronized Amino Acid Blend (L-Leucine, L-Isoleucine, L-Valine, L-Lysine, L-Threonine, L-Histidine, L-Methionine, L-Citrulline, L-Tyrosine, Taurine, L-Arginine, L-Theanine, L-Glutamine, Emulsifier: Sunflower Lecithin), Flavouring, Acid (Citric acid), Anti-caking agents (Silicon dioxide, Calcium silicate), Sweetener (Sucralose), Green coffee bean extract (Coffea L.), Curcuma Oil Extract, Stabiliser (Acacia gum), Antioxidants (Ascorbic acid, Alpha-tocopherol), Green Tea Extract (Camellia sinensis L.), Beetroot Concentrate, Vitamin C (Ascorbic Acid). 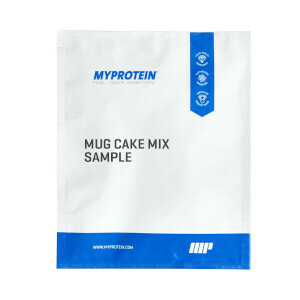 Micronized Amino Acid Blend (L-Leucine, L-Isoleucine, L-Valine, L-Lysine, L-Threonine, L-Histidine, L-Methionine, L-Citrulline, L-Tyrosine, Taurine, L-Arginine, L-Theanine, L-Glutamine, Emulsifier: Sunflower Lecithin), Flavouring, Acid (Citric acid), Anti-caking agents (Silicon dioxide, Calcium silicate), Green coffee bean extract (Coffea L.), Sweetener (Sucralose), Green Tea Extract (Camellia sinensis L.), Curcuma Oil Extract, Stabiliser (Acacia gum), Antioxidants (Ascorbic acid, Alpha-tocopherol), Vitamin C (Ascorbic Acid). Micronized Amino Blend (L-Leucine, L-Isoleucine, L-Valine, L-Lysine, L-Threonine, L-Histidine, L-Methionine, L-Citrulline, L-Tyrosine, Taurine, L-Arginine, L-Theanine, L-Glutamine, Emulsifier (Sunflower Lecithin)), Flavouring, Acid (Citric Acid), Anti-caking agents (Silicon Dioxide, Calcium Silicate), Beetroot Concentrate, Green Coffee Extract (Coffea L.), Sweetener (Sucralose), Green Tea Extract (Camelia Sinensis L.), Vitamin C (Ascorbic Acid). Micronized Amino Acid Blend with added green coffee extract, green tea extract and vitamin C. Various flavours with sweetener. Food supplement.